What is Upsa-Daisy’s arrival and collection policy? On arrival at Nursery your child will be greeted by a member of staff and signed in on the register. Upon collection of your child the Key Worker will discuss your child’s day with you and sign them out of the Nursery. The safety of your child is of paramount importance to us. Staff will be instructed to allow only named and known persons to take your child from the Nursery. Only those named and signed on the registration forms will be allowed to collect your child. Health and safety is very important. Every possible safety device is used within our Nursery. All our staff receive regular health and safety training. What is the language used? 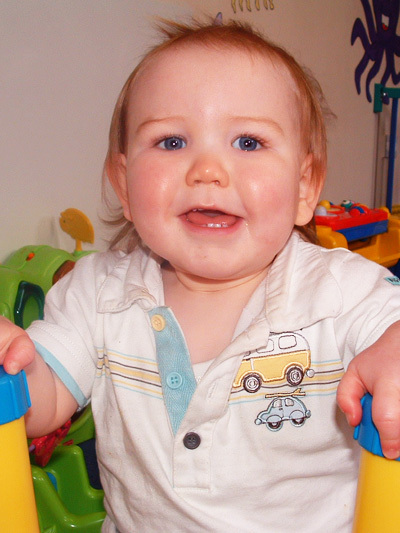 English is the Nursery’s first language, although basic Welsh is introduced. What clothing does my child need? Please send your child in “Play Clothes.” In this way children can concentrate on having fun and not worry about staying clean. Remember, paint, glue, sand, mud, grass and rain are a part of each of our days in one way or another. Children should be dressed for the weather as they usually go outside for a portion of every day. We suggest that clothing be comfy and easily handled by little fingers. We ask that you provide two changes of clothes. Please ensure that all clothing is clearly labelled. Fresh air and outside play is an essential part of any child’s day. We have a large, secure and well equipped garden. There are areas to challenge children’s motor skills such as balancing, jumping skipping and running.